We are not so far from Usain Bolt position !!! 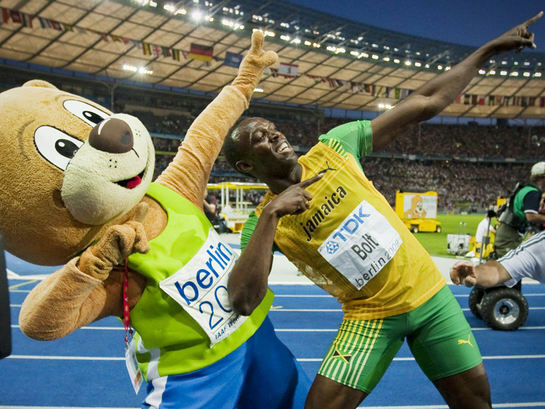 Usain Bolt poses with mascot ‘Berlino’ as he celebrates his record-breaking 200-metres win at the World Athletics Championships at the Olympic stadium in Berlin. ← Photography by Allen Bargen.